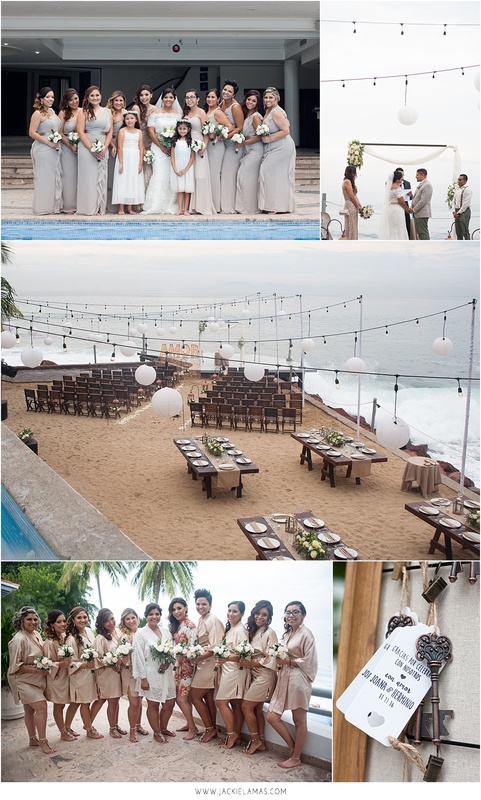 I have another edition of Real Wedding Inspiration, Beach edition! Each bride and groom pour their hearts into every detail of their day. I think it’s really important to take photos of even the smallest detail of their day. A rose blush wedding overlooking the waters of the pacific. As a beach wedding photographer, it’s really important to capture these details to give the couple the photos that make them relive their wedding just as they remember. To have them go back in time and remember how they felt during their special day. Each wedding is unique in their own way even if they were held at the same venue. Each bride and groom take their time to choose linens, flowers, dresses, and even the earrings that they’ll wear on the day of their wedding. A bling whimsical wedding in Cancun, Mexico. These real weddings of real couples are here as inspiration for your own wedding. Letting you visualize what the details could look like in your dream wedding. So feel free to pin, save, and share with your planning squad. All of the weddings in this post have been photographed on the beaches here in Mexico. Do you see anything that you’ll want to add to your wedding look and feel? I really just love all of them! Contact me to book your event or portrait session. Click this button. I’m really excited to photograph you! I will reply as soon as possible! Thank you have a lovely day!